Vasilis Panagiotou was born in 1972 and has been involved in martial arts and combat sports for over 20 years. He systematically trains in Ninjutsu for 18 years. Here’s a link to the Ninjutsu Athens in Greek. He successfully passed the Shodan (Black Belt) test in 2007 and the Nidan (2nd degree Black Belt) in 2013, in Bujinkan Ninjutsu. He acquired his first basic skills in Ninjutsu while studying under Phillip Matziridis Sensei and he continued studying under him through seminars. He has also attended many seminars of well-known teachers in Europe such as Moshe Castile, Pedro Fleitas, Manuel Serrano, Paco Roldan, Kacem Zoughari and others, while he cooperated and trained for a long time with Stelios Faitakis, a close student of Moshe Kastiel for several years. At the same time he trained in other martial arts such as BJJ, Judo, Sanda, Tai Boxing, and he acquired the Instructor Certificate from the Greek Ju Jutsu Federation, as well as the 2nd Dan in Ju Jutsu in 2014. Lately he has been training in Filipino Kali – Escrima systems (Doce Pares, Balintawak). Throughout his training, he has also studied internal martial arts such as Tai-Yin, Tai Chi Chuan and meditation. His experience in teaching starts in 2009, in collaboration with Stelios Faitakis. For 3 years they operated Ten Chi Jin Dojo Athens together, organizing several successful seminars. Since 2014 he continues his training under Yossi Sheriff Sensei. Vasilis is the headmaster of AKBAN Ninjutsu in Greece. AKBAN Dojo Athens is a member of the great AKBAN Academy since 2015 and adheres to the same principles and methodology. 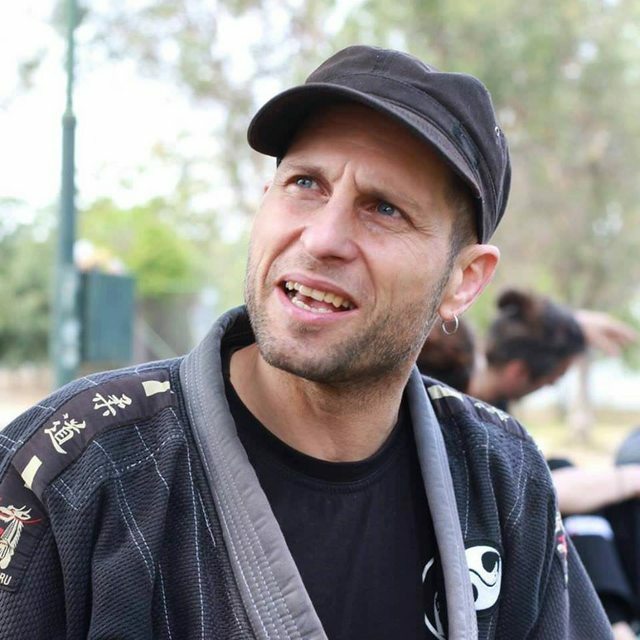 During 2014, 2015 and 2016, AKBAN Dojo Athens has successfully organized seminars with Yossi Sheriff Sensei and has participated in the 6th International AKBAN Colloquium in Israel.